Sewage pump is one kind of centrifugal impurity pump, which has many forms: such as diving type and dry type, and the most commonly used diving type is WQ type diving sewage water pump, the most common type of dry sewage pumps is w-type horizontal sewage pumps and WL type vertical sewage pumps. Dirty water pump is mainly used to transport urban sewage, feces or liquid containing fiber, paper scraps, such as solid particle medium, usually the temperature of the medium to be delivered is no more than 80 ℃. Because of the medium that is transported contains easily winding or bunched fibers. It is easy to clog the flow channel of the pump. Once the pump is blocked, the pump can't work properly, or even burn the motor, resulting in poor drainage. It has a serious impact on urban life and environmental protection. Therefore, the anti - plugging and reliability are the important factors of sewage submersible pump. Sewage pumps can be divided into liquid sewage pump, pipeline sewage sump pump, submersible sewage pump, vertical sewage pump, corrosion resistant sewage pump, acid-proof sewage pump, and self-priming sewage pump. The type of sewage pump: PW type waste water pump and PWL type sewage pump. The pressure water chamber of PW type wastewater pump is the most commonly used in volute, and the radial guide or runner blade is used in the submersible pump. The impeller, pressurized water chamber, are the two core components of sewage pump. The performance of they represents the performance of the pump. 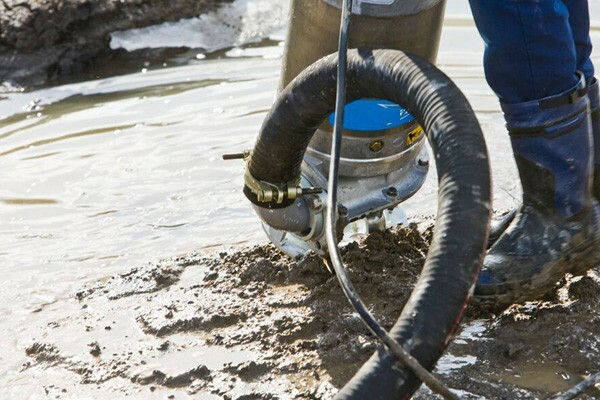 With the progress of society, the continuous improvement of people's living standard and the strengthening of environmental awareness, the sewage pump has become familiar and the scope of application has become more and broader. Of course, the sewage pump is only an application name, in fact, the liner slurry pump is a good use of the horizontal sewage pump.In the treatment of industrial sewage, the use of lining pumps is very extensive due to the acid or alkaline substances contained in sewage. The rubber sheath, metal impeller is used in the rubber pump, they can achieve the high pressure and high efficiency of the metal pump, and can make full play of the anti-corrosive of rubber material. When dealing with urban sewage, it is generally used to add a filter to the sewage treatment pool. And prevent the pump from entering the pump chamber, the pump can work better and live longer. The basic parameters of the selection of sewage pump are diameter, flow, lift, power, voltage, liquid etc. 1. 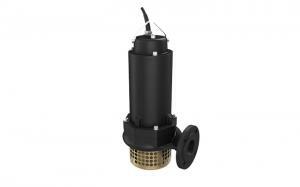 Select the suitable electric sump pump according to the discharge flow and the lift size and height. 2. Choose the sewage pump according to the use of different reasons. For example, if we want to transport the high content of sand, the good sewage pump is used. If it is used for conveying sewage or dirt, the maximum diameter of the sewage pump shall be considered. If the corrosion resistant medium is transported, the corrosion resistant pump should be considered. When transporting fibrous material, the sewage pump with cutting mechanism should be considered. 3. 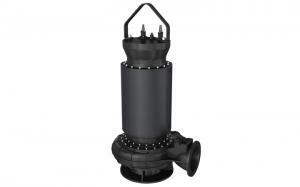 Choose single-phase or three-phase sewage sump pump according to the different power supply. 4. According to the requirements, whether the liquid should be exhausted, and the upper pump type or lower sewage water pump type is chosen. 5. According to the price, quality status, operation cost, installation, and maintenance of the sewage pump to select the appropriate pump. 6. From the premise of saving energy and meeting the requirements of use, choose a sewage pump with high efficiency. The parameters of the selected sewage sump pump will be operated within the range of 0.7 to 1.2 times of the rated flow. 7. Check whether the sewage pump has reliable grounding device and safety protection device, so as not to affect the safe use of the sewage pump. 8. When choosing, we should pay attention to check the appearance of the pump, check the sewage pump body, check the pump cover without damage, whether the cable is broken, whether the surface of the pump has the corrosion inhibitor bolts, whether there is leakage. There should also be a Megohmmeter to measure the cold insulation resistance. The installation standard specifies that the cold insulation resistance is above 50 trillion ohms. 1. It adopts advanced technology, with strong emission capacity and no blockage, which can effectively pass the solid particles with a diameter of 30- phi 80 mm. 2. The tearing mechanism can tear the fiber material, cut off, and then discharge smoothly without adding a filter on the pump. 3. The design is reasonable, the auxiliary motor power is small, the energy saving effect is remarkable. 4. The mechanical seal of the latest material can keep the pump safe running for more than 8000 hours. 5. It has a compact structure, convenient movement, and simple installation. It can reduce project cost and no need to build pump room. 6. It can be used in the whole range, and ensure that the motor is not overloaded. 7. The floating ball can be changed according to the required water level, and automatic control the startup and stop of the pump, no need to be supervised. 8. It has a double guide rail automatic installation system, which brings great convenience to the installation and maintenance, and it is not necessary for people to come in and out of the cesspool. 9. It is equipped with fully automatic protective control box, which can effectively protect the leakage, water leakage and overload of products, and improve the safety and reliability of the products. (1) compact structure and small footprint. The pump can be directly installed in the sewage tank because of the working fluid, so it is not required to build a special pump room to install pumps and motors, which can save a lot of land and construction costs. (2) the installation and maintenance are convenient. The small submersible sewage pumps can be installed freely, and the large sewage pumps are equipped with automatic coupling devices for automatic installation, the installation and maintenance are convenient. (3) long running time. Since the pump and motor are coaxial, the shaft is short, the rotating part is light, so the load (radial) on the bearing is relatively small, which is much longer than the ordinary pump. (4) low vibration noise, low-temperature rise of the motor and no pollution to the environment.